With the holiday shopping season drawing ever so closer, Verizon has a big sale for the VR fanatic(s) in your life. The Google Daydream View headset, both the 2016 and 2017 models, are on sale. And the guys at Big Red didn't go after the prices with a nail clipper; instead, they used a machete to hack some serious coinage off the price of each unit. The 2016 model is priced at $29.99, off $50 from the previous price of $79.99. That is a 63% savings. The 2017 Google Daydream View is now priced at $39.99, off $60 or 60% from the previous price of $99.99. 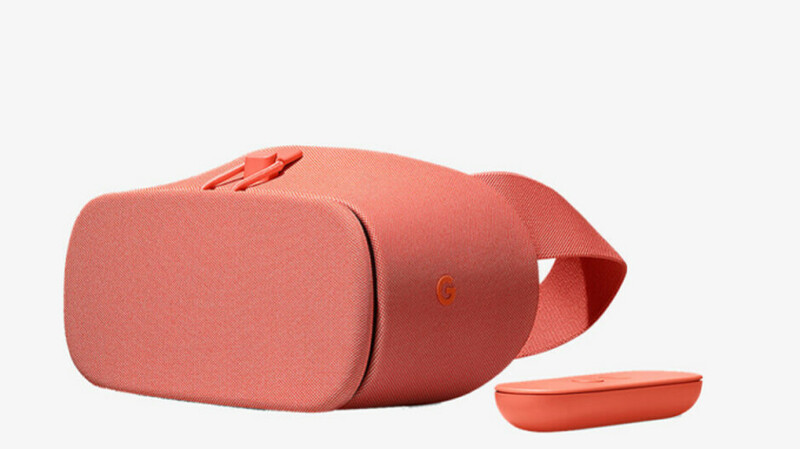 The Daydream View is compatible with the Google Pixel handsets and other phones that support the platform. With the Daydream app supplying content, once the phone is placed inside the headset, VR mode is automatically enabled. Both models also come with a Daydream View controller and a 220mAh battery that will allow you to experience hours of VR. If you need to start shopping for the holidays, you'll be able to cross a few people off your list by taking advantage of this sale. Keep in mind that the 2016 version is available in Slate only, and the 2017 model is available in Coral only. If interested, click on the appropriate sourcelink below.